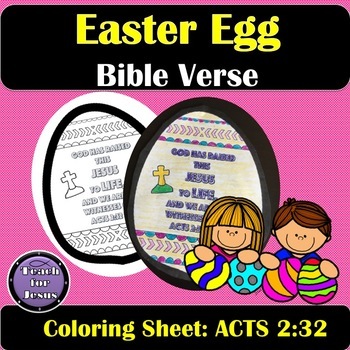 This is a great Easter coloring activity for Sunday school classes or for those kids that finish early. It can also be used for Easter lessons in homeschool settings. The verse is from Acts 2:32. "God has raised this Jesus to life, and we are all witnesses of it." 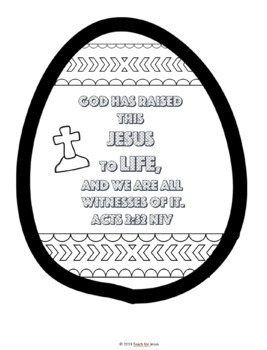 To use it for a memory verse game, simply print out the sheet, cut the egg into pieces, and have the kids figure out what the verse is. The kids then glue the egg onto a piece of construction paper and color for Easter. Spring Game Bundle, Buy 2 Get 2 Free!